After years away, Seminary student Danny Sullivan returns to his snow-covered hometown to support his longtime, terminally ill pastor, Father Rob. But as questions swirl about his family’s past, Danny focuses his energy on reconnecting with his estranged brother, Jake, a reclusive drug dealer. 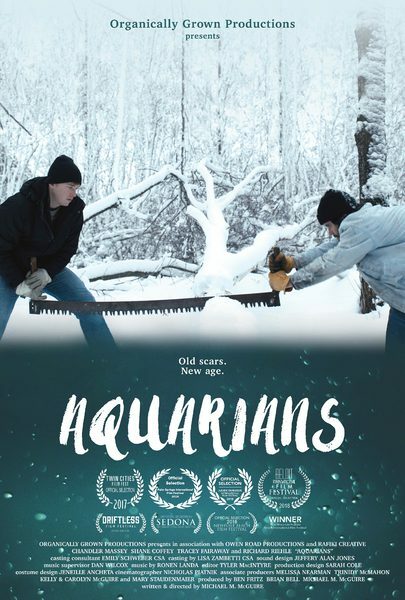 With the help of Nicole, a young woman from their past, Danny and Jake engage in an emotionally turbulent series of interactions as they work, ice fish, and party their way to a violent confrontation over the past event that set them on divergent paths in life.